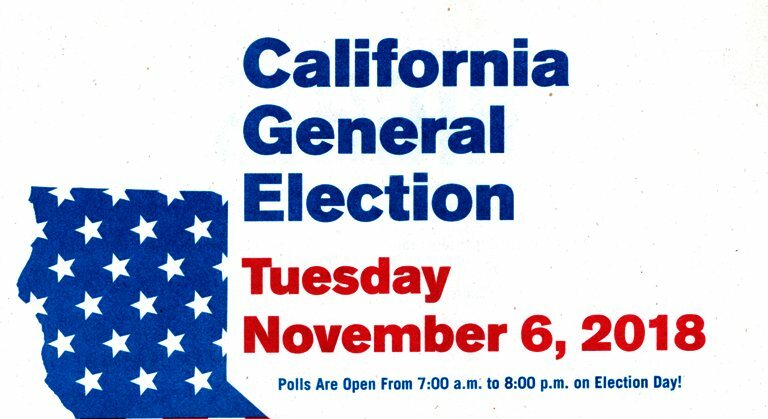 Here in California we always have a lot of Propositions on the ballot in the General elections. In my opinion there are way too many things that have to be approved by the voters, especially when in some cases they don’t listen to the voters anyway and come up with another way to implement something. Let our elected officials do their job. Luckily we have a Voter Information Guide that helps explain all of them. 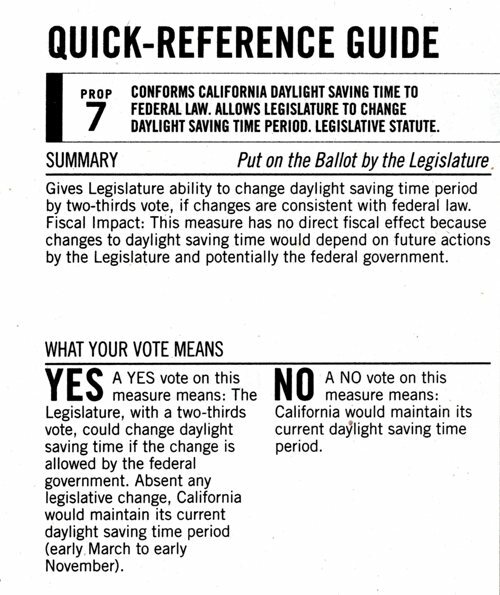 Since yesterday was the day that we set back our clocks I talked about Proposition 7 which was related to Daylight Saving Time. That was an easy Proposition to determine how to vote. Now to figure out exactly how to vote on all the other Propositions. As you can see here we have 12 Propositions. However, one was removed from the ballot. Changes in property tax base transfer to replacement property – I am getting close to qualifying for this program and it would benefit me if I wanted to move closer to work. Eliminates a gas tax and requires all future gas taxes and vehicle taxes to be approved by a proposition. – This one could cut a lot of funding for road repair. Regulates outpatient kidney dialysis clinics. – This could be dangerous as it would set a precedent for control of other areas of private health care by the State. Ambulance employees can be on-call during work breaks – Why is this even a question? Size of cages for chickens, pigs and calves raised for veal. Ban on sale of products that do not meet standards. – This actually delays implementation of tighter standards set by another law. There are a few of these that I am still coming to a final decision on, but I have little time as tomorrow is Election Day. Remember to go vote if you haven’t already done so by mail or early voting. 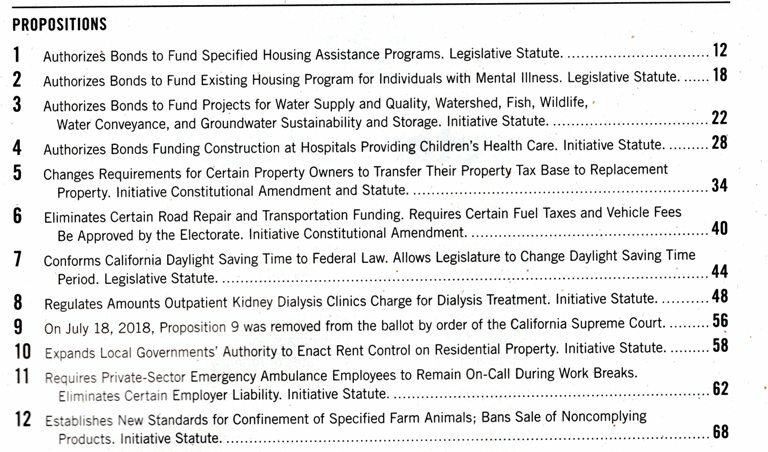 How many Propositions are on your ballot? 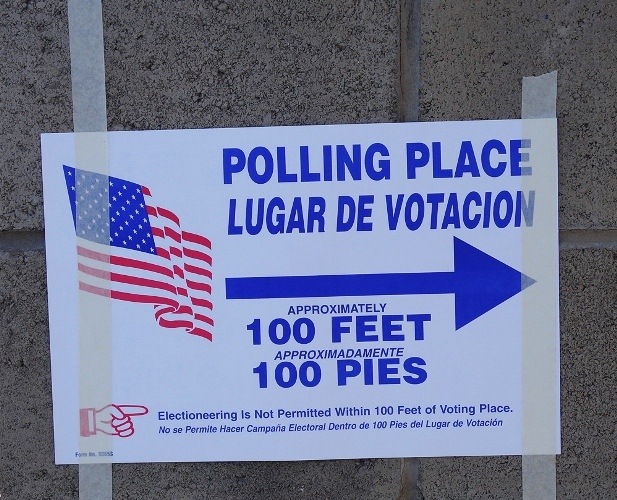 This entry was posted in California, Culture, Local and tagged California Election, polling place, propositions, Stupid propositions, Voting. Bookmark the permalink.